Is Plaxo really trying to put wings on a car? [Disclosure/reminder: I head up marketing at Plaxo.] Louis is correct from a marketing/brand perspective. For many people, Plaxo is a little piece of software in their Microsoft Outlook, providing a way keep their business contacts up-to-date. But Plaxo has always had bigger aspirations; the vision has been a “people layer” for the Internet, with each person having a unified and self-updating address book, leveraging the network effect. That unified address book would sync with Outlook, the Mac, AOL, Google, Yahoo!, the mobile phone, and more. And it would be accepted at just about every website. And inside that address book? 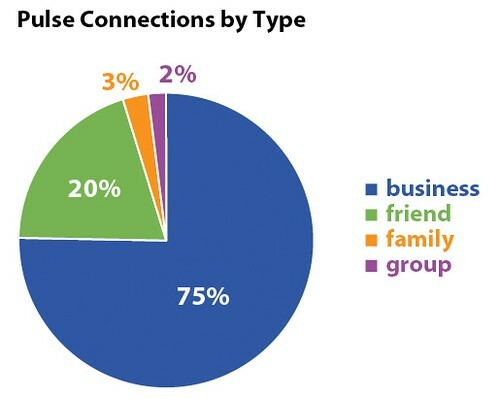 Not just your business contacts, but everyone you know and care about, including, of course, your friends and family. In a few words, a major “who-you-know” play. Would many of the 20 million current Plaxo members find the new functionality interesting and useful, and would people be willing to categorize the relationships they are declaring in Pulse as family, friends, and business? After all, the first generation of social networks had trained people to “friend” just about anybody. We were convinced that there was a BIG market opportunity to take the concepts of social networking and recast them for a more mainstream, post-college demographic. The idea? Give people control over what they share with whom. We were and are convinced that the real Social Web will be like an iceberg. The blogs and tweets and other fully public content is the shiny white ice visible above the surface of the water, but running deep and wide is the mass below the waterline: the private and semi-private conversations between family and friends. The greatest delight I get from Pulse is the simple pleasures of sharing photos and commenting on them between members of my family. That includes three generations of family members, distributed across the country. Explanation of these two charts available in my original post on the topic. The little challenge is getting through to them and apart from maybe Facebook, a lot of the hyped stuff in the Valley (our bubble) is not mainstream. 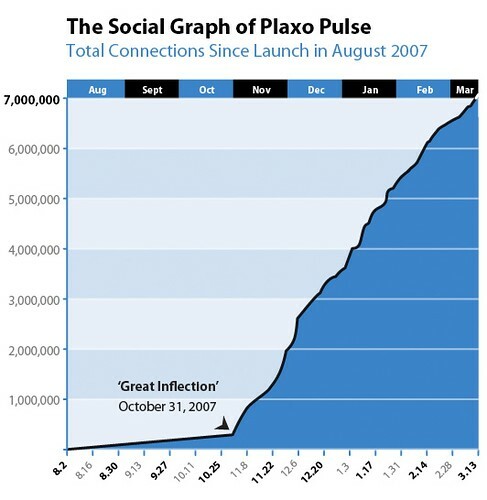 Anyway – I always recognize Pulse as the first ever to bring lifestreaming on the Internet and congrats on the excellent growth curve! Thanks, Mrinal! I/we appreciate the kind words and the support.